I became an actress purely by coincidence. It all began when I participated in Miss Singapore Universe and won two subsidiary awards — Miss Personality and Miss Elegance. I was called in by MediaCorp for a Chinese drama audition, and landed my first TV role in “Beautiful Connections”. Over the years, I have acted in numerous Chinese dramas and a couple of local movies like “The Best Bet” and “It’s a Great Great World”. But it was my role in “The Little Nyonya” that won me my first Best Actress award in Star Awards 2009. I believe that acting has everything to do with living, and as I move on to the next phase, I look forward to filling my time with enriching and meaningful activities. hi, i just want to say that i had like you since the day i first saw you on the drama the little nyonya. (if i remember it correctly i put in my memo in my cp that the day i first saw you is sept 23 2009 yea.. ep. 23 and mind you i really cried.in that ep…).im a filipino and no one as in no one has ever got my attention the way you do…you’re so pretty and such a great actress and i happen to dream being a writer too…just want to ask where could i watch full ep of the golden path.? ?thanks…and have a niceday..
Sweet smile there… =) Will be looking forward to your very own website… Take ur time on revamping the blog and creating the website. another long drama, nice change from the usual 20episodes 9pm dramas. jiayou!! U will like the long drama, it has a great storyline! I’m still kinda working around with the new template..give me some time okie? Just to say hello. I guess you are busy but Im keen on your writings and love for writing and acting. It is good to write as it brings out tremendous insights – your insights. haha, good, really looking forward to that. do hope to get a little change from the recently becoming rather standard mediacorp storylines. if im nt wrong i wil be in,hmmm i will sure gonna like it la..ehhh nec new template u got here. hmmm gambette in whatever u do,k? Congrates for being norminate as Best Actress for this year Star Awards! Finally the award you been waiting for! Hope you can get the award! BTW Nice Blog Skin u have here! ps: U are already the Best! hi,Joanne,i hope u can get bst actress tis yr!jia you oo! hey jo! im finally here! congrats congrats to you noe wat! 🙂 keep up the good work, help me give yourself a pat on your back! thx! stay pretty and bubbly! take care! ps: i like your rubber fish! hee! I will support u oways!!!!!!!!!! I l❤ve the KEBAYA that you,Jeanette Aw,Apple Hong,Evelyn Kok,Pan Ling Ling and Cynthia Koh wore. is the drama that u acting right now will be separated into two parts? Hey Claudia, u mean you want to change ur gravatar? I was wearing glasses because I was going to come back from my trip to have Lasik done. Just before the op, I was supposed to lay off contacts for 2 weeks. So there, now I’m free from all that!! yay! Hi Joanne, yup i mean the gravatar..I don’t know how to change it..can u teach me?? pls.. I haven’t been able to change mine too. I think u can click on support from wordpress to find out more. What do you mean by Lasik?? jo, u doing lasik? ive been thinking of doing it too but heard too many horror stories about it! 😦 and im not sure if my eyesight now is stable or not. duno if after lasik, will my shortsightedness come back find me!! 😦 I dun want! u share ur experience after u done! thx in advance! y must dis movie show on november ?? is it nice veryyyyyyyyyyyyyy nice ?? I’m looking forwad to 想握你的手! Hello,joanne,u r so thin,can u teach me some method to bcome lik u,tq.bside,i hope u can get best actress tis year n d ‘shi da zhui shou huan yin nu xin’!!! Do you know how to play the saxophone? Do you have any msn account? hi…dunno u stil remember me ma?long time no see u come orchard le..really hope to see u soon..take care.keep in touch..
Hello. u’re very pretty.. what show are u performing next?? Looking forward to it… sp, ajollyaffair@yahoo.com.sg is ur email right? All the best to you! You can call me Carmen! Joanne, you look very pretty indeed. Hope you can email me! Joanne, i really couldn’t compare you and Jeanette Aw! I love Jeanette Aw but i still love you! Both of you look a bit like sisters in the i-Weekly makeover commercial… Can you reply to my email? Joanne , Do euu have a facebook acc? Please reply……..I am waiting for joanne peh reply….k? hi Joanne jie jie…i like all the drama that u act,vry nice!!! i hope u will win Best Female Atress for Star Awards 2009!!! i will support u 4ever…r u Acting recently? Hi Joanne! Congratuations for winning the Star Awards 2009! Hope i can find it soon on youtube! Please come to my blog and tag ! At the same time , Congratulations in winning the ” Best Actress” My family thought it would be Ou Xuan , Yes she is also good ! I like her too! However , i guess the reason she did not win , is she didn’t have as many shows as u filmed ! To round off , congratulations! Congrate on your success and “Best Actress award”. Congrats for getting the” Best Actress Award”! Happy Bday to you! Hope you stay healthy, happy, getting more and more awards, career getting better and better. I am 11 years old this year. How are you? Wow~ you finally updated. Haha. How’s your filming timetable? Read your blog and you are a little bit busy. Although you are busy, must also take care your body also okays! I am the Xuan too. Love you forever. u impressed me with ”the little nyonya”show and i am sure u will do better!can i ask u something?Becoming a actress do u need looks only?without looks is it possible to be one? As you can tell from the comments I’ve got here, being an actress also means learning how to deal with people. I can’t tell you how, because I’m still learning. If u’re dedicated to the craft, there will be opportunities! i saw u at marina square and u are simply so gorgeous.. u have my supposrt!!! jia you!!! i saw your post talking about Star Award!after read tat very touch my heart! Your writing so good…The picture tat you post of the Star Award! very special and creative,u take with black and white,very fashion! may i knw what camera you use? I really like your smile! It’s so sweet. 😀 Can I know what secondary school you’re from? How do you spend with your Mum? I cooked for my mom. 🙂 I’m not at Shanghai anymore, was there last December! How did u celebrate Mother’s Day? I can’t wait to see you in your next latest serial drama. Wow, it’s indeed a pretty long show… I would love to see you again there..
Oh yes, How did you celebrate your winning awards 2009? its funny saying that cos im joanne too.haha. just happen to type in ‘joanne’ to google it and i so happen to have found your webpage.pleasure having such a gorgeous lady by the same name with such achievements in such a short time. Truly impressed with your accomplishments and i’ll be waiting for more great performances from you. Welcome to my blog, thanks! Joanne do we nid to download anything from photoshop b4 we can design the banner? Great stuffs esp this one below. Hi! Joanne, it is the first for me that I join 2 send 2 u. I’m very happy and I 1 2 tell u I like u so much. The second one is the project Yann Arthus Bertrand talked about in the first link above. He produces it he allows everyone n anyone to download FOC. after I’ve seen ur blog, u change my impression on u, which is a good thing. U’re a literate person and actually quite an open-minded person. U are daring, I like that, keep it up!! Always support u, all the way!!! Hi! Joanne, it is for me to join your website. I’m very happy. you are my favorite actress in my mine. Hi! Joanne , I’m curious want know that in your hand in mind, Do you pairing up with Pierre Png as a screen couple or not? Please! reply to me soon! hello. im a fan of yours. i am also in temasek sec now. i saw your name on th head prefect’s board. lol, i didn’t noe tht you were th head prefect. hey, i enjoyed your acting in the show TLN. Great job. Not easy to do a switch just like that from a person who is so kind hearted to suddenly been so traumatised with what had happend. keep it up. AM a great fan of urs ! Hope the day’s going well for you. i so luv ur shows +v. pretti!! I am not Very good at speaking … anyway i love to watch ur shows almost all the shows that u have participated in, i did watch. I like ur acting skills. My idol is u and i like you and my dream is to be an actress like u! Not heard from u for quite a time…miss you so much…don’t forget to share ur holiday experience with us. okie…. this pic is so sweet! even my fren said she liked this pic very much… n wouldn’t tell me where 2 get it! is being an actress a tough job? it looks hard? hw do u memorize all those long script lines? your acting skills is good…hope that i would be like u in the future..
jiayou we will always surpport u..
(i call you jie jie as im a 8 year old girl) do you have a facebook account if you do can you add me as a friend?i love your acting jie jie joanne.can i ask you another question does jie jie jeanette have a blog? I just want to check with you are you fr Junyuan Primary School coz the time when i am p4 should b 2007 you went to Junyuan. I saw you, you look stunning!!!!! And you are very tall. you hug w the principal anyway this year we change principal. I really love ur beautiful smile.. and of course ur actings.. I really love ur beautiful smile..
how do actors cry on the spot..is there some tricks…i m doing a literature play project for my end of year exam and is required to cry on one of the scene..
I’m from HK. Actually I didn’t know you until a recent trip to SG. I saw your Jetstar ad on TV and you look so beautiful. Later in the newspaper (provided by hotel) I again saw Jetstar ad and you and I started to know your name, but not quite sure what Peh is in Chinese until I search it on the internet. Anyway, hope I can see you again one day in the movies and TV in HK. Hope u had a nice time in Singapore. Hi, why can’t I see my message several hours after I pressed the “Submit” button below? Hi! Joanne, How are you? Congratulation that you won most popular of 7 princesses. Oh! I forget tell u, I’m from CBD. I see you on Tv in my country and My friends and Me really like you esp your acting.Last I only 1 2 tell you that you are attractive I like you. Bye Bye! I like your latest advertisement with Jetstar….is wonderful and sweet…. Hello, i’m from Maaysia.I like your acting…you are wonderful..Recently wantched little Nonya..Cheers.. Looking forward to see the new drama coming this november! I’m fan fo you too! You two are good friends right? I’m from Korea and i’m learning english..handling it quite well .. But you are pretty, you are an actor? First time seeing such a pretty actor in singapore . Do you like Korea? Some ppl like it as it snows in Korea and its very cold too (: But its nice , This is my first time in Singapore so i’m not quite familiar about this place. I saw your picture on an advertisement so i went to check out more about actors in singapore. Have a nice day! My favourite is Kwong Sang Woo!! 🙂 Thank you for ur compliments, hope u’re liking Singapore. I’ve never been to Korea but I heard shopping is great there! The ant-bite must be very painful. Take care of your ant-bite. Im glad I’ve found this site of yours! I am currently watching the series in where you have been part of, The Little Nyonya, and I love your character so much. Im also amazed that you still managed to maintain this kind of public site despite your hectic schedule. This is a good place to catch up about you. I find this site cool, just like you. Simple yet elegant, and one thing I like most, you’re such a smart lady. This is the first time I accidently enter your website. I am from Malaysia KL. I get to know you when I watched your few drama, always acting tomboy or not a gentle lady. I like it, it was so natural. Recently, I watched your drama a little nyonya, my brother asked me, who is this girl (u)? I said she was the who acted as tomboy, he said Oh……… she looks so different and pretty ya….hahaha……….. Your smile very charming and attractive, every time see you will give me energy and have a smile like you. Thanks. Please keep it and send or give your smilling face to all the people all over the world. Do as natural as you are now. That is what I like the most. Hello Miss Joanne Peh, Junyuan primary school will be celebrating ex students gathering ceremony on 2010.
my dad once saw mie watching little nyonya and ask mie hu is tt gurl?tt was euu,obviously,thn i told him n he was like,"woah! she's tall" *my dad is not at all tall-.-''* thn i sae 'duh~! she played volley ball okaes? same as liu zhi xuan! "lols… hahas..
hope u're gettin on gud wif ur career,help mie tell felicia that i'm stiu supporting her no matter wad yeah? tt was years ago when we became fwens,nut i doubt she stiu rmb mie..
n u r so beautiful…..
Hello Joanne! May I know if the fb acc really belongs to you? Im referring to the one with you wearing a purple top haha. voted for you! you actually allowed comments here! Number one future Ah jie. Thank you Bernice, a sincere comment always makes my day! When you were studying in NTU (Nanyang Technological University), which division did you choose to pursue? 1. Division of Journalism and Publishing. 2.Division of Broadcast & Cinema Studies. 3. Division of Public and Promotional Communication. 4. Division of Communication Research. 5. Division of Information Studies. Hi, i recently and finally found your blog!!!!!! I admire you so much!!! In the future i hope to be someone as outstanding as you!!! Wow, that’s huge, thanks, believe and you will get to where u want to be. All the best to you! You’re so good in everything. Hope that you will be the best in everything you do! 😀 YAY~ thanks for updating. Have been following your blog for quite a long time now; love your heartfelt comments and in-dept reflections. i think this blog is a great portal for fans, like myself, to see the down-to-earth side of you and for us to know what you’re up to recently. It gives us a sense of connection with you, which is excellent. Keep it up yeah! Can’t wait for the Your hand in mine drama. Am sure that it’d be great. I have read your blog for 1 year, your blog is really interesting. From your blog, I learnt many things. I saw the photos you had last time, you went to Tokyo, right? I would really hope to go there, is there fun? Could you care to share with me? I saw the advertisment that [Your Hand In Mine] is going to be start at 09.11.2009, I cant wait to watch the show! It must be nice. Anyway, thanks for reading my comment. Lastly, take care your health and enjoy your work at the same time. If can, you can e-mail me at the e-mail I wrote, sorry that I dont want others to see my e-mail so you will have to see my information, thanks. Hey Joanne,one of my greatest fans in Mediacorp!Do you have MSN or any email?Do reply me back asap:)Thank you! Hellos Joanne Peh,You And Ou Xuan My Idol!Do You Have MSN Or Yahoo?? ?If You Got MSN Or Yahoo,Pls Add Me!! !My Email Is Angeline1325@hotmail.com And If Ou Xuan Got Email Can You Give Me???Thx. Hiie Joanne,You And Ou Xuan Is My Idol!! !Do You Have MSN?? ?If You Have Pls Give Me!! !I Would Like To Chat With You.Do Ou Xuan Have MSN?? ?If Ou Xuan Got MSN,Can You Give Me?? ?Thx.Pls Reply Soon!!! You are my favourite actress in Mediacorp. Think you have a very natural and sweet smile that could light up people’s mood. And you are one of the few who still look very pretty with only light make up. Hope you are happy in ur career and ur love life! Wish you good health most importantly! Stay the natural beauty in you. And stay cheerfuL! And i heard some of those peaple said you’re very tall . May i know whats your height ? just 3 words for ya, you are great!!! Every update of yours is really interesting. Hope that [Your Hand In Mine] will have the most number of people watching! U were doing well in there!! Theres a new drama called 想握你的手 right? Joanne , how you became a actress ? Nice information there! I just thought of to become your regular reader but the problem is your site doesn’t seem compatible /friendly when it show in KMeleon browser which I use regularly other than internet explorer, hope you can get it fix soon, thanks in advance. Imma avid fan of you. & Im loving it your new show at Channel 8 but urm forgotten the title. Heez. Hi! You’re from JYPS right? Hahah. Do you have msn ? Hellohello. I really love your acting in 想握你的手. Who did you end up with in the end ? hope you end up with Zhang Yao Dong. Two of you make a great pair in that drama. 😀 All the best to you. halo! Zoe here… I’m from Malaysia. I’m one of your fans too!!! Your acting skills are great!!! Keep up the good work… JIA YOU!!!!!! You are gorgeous! I would love to have your complexion! I love every show of yours. agree with Amy!u r really pro!my bro praise u many times when he watch the movie.haha,he prefer you not to make up,v pretty!thumbs-up for u! Hi, Joanne. Do u have MSN or Yahoo Messenger? joanne peh jie jie , would u like to add me on msn ? my msn will be dangerous-alliance94@hotmail.com , u are my bestiie idol ! :] I will wait for ur reply ! came across your blog. Wow.. It’s awesome! Although I’m a Malaysian, I used to watch your movies here. Great Job! Actually, I wanted to ask you, whether do you know how to play volleyball in real life? Because I saw you playing quite well in Beach.Balls.Babes! really impressed by it because I myself do play volleyball! love it! Hope you are in the pink of health and continue striking for success in life! Cheers! I actually trained quite a bit for the show so that I would look quite natural playing. Hi, i am a big fan of yours. Continue working hard, we will be here supporting you…. Great to know someone of my heritage is one of the big shots. Good luck to you! HEY JOANNE ! im a SUPER duper big big big big fan of yours ! i really want to meet you somewhere in singapore ! cheers ! have a nice day ! i really like the pretty facee of yours ! You’re absoulety awesome! =) *opps* if I spell wrong, 12 this year. Haha. May I know the ending of [Your Hand In Mine] who you be with at last? Is it YaoDong [Dr Yeah]? Haha. I’m catching the show whenever there’s you. Loves & Cheers, always support you no matter what! Dont only work, take care of your health okay? i’m rainie. i love your acting. my friend loves your acting even more. but because her family are facing some problems now, she’s become very emo. can you type a message here to encourage her? i’ll get her to read it. she’ll be so happy if she saw it. please write back soon. Yr great acting admire me in your hand in mine! do u have window live messanger? if u have please reply. I am uor bes admirer.I love uor acting.Especially the Lion Dance every Sunday show that. i will watch[[Your Hand in mine]]. I am Elvin,Dai yang tian,jeanette and you. hey Joanne! i ‘m Vietnam fan…i love u!!! good luck!!! hey! Since you pairing up with Pierre Png then who pair with Lin Xiang Ping? Sorry im just curious to know. Helllllooooo! I adore you sooooo much. Hope to become an actress like you! And we have the same surnames(: Love ya! Hope you happy everyday ! Hi,I’m from Malaysia . When you act in a film , does it take a long time ? i like you !i am call yuki. joanne do you have msn? I like you since I first saw your chinese name on Malaysia newspaper, Entertainment section. I thought it’s a rare and special name, impressed! No longer then, my family and I kept following up “The Little Nyonya”, I can’t quite believe it’s you there! Delighted, and your acting is very good, expected! :DD Later, impressed again, when I saw your charming and natural smile on those photos on your Blog and FB…you look really beautiful! hi joanne,this is my first time visiting ur blog it’s so cool! Joanne keep up the good work. i think you are a much better actress than Jeanette Aw and I hope you receive all the accolades, endorsements, and success in your career that you deserve. If Mediacorp has any sense they should focus on developing your talent and boosting you into the Ah Jie position instead of Jeanette. at last in 《想握你的手》 who do you pair with? hello:D i like the it is very interesting. By The Way, hope you don’t mind telling me is Mr Zhang Yao Dong been with you before? cos heard from some outsider and you are together as a couple before and you both do have inmate relationship…hope you can clarify with me,before i got con again and again by him. i love you i wish u were my sis i am a singaporeAn u?? If you need computer servicing do email me or if your company need any IT support maintenance do let us know. We sure to resolve all problems. joan you look very pretty!I always see your dramas also expecially the drama your hand in mine. Congrats for taking the award. Happy Belated Birthday. Anyway, continue to rock on, let us see more of your good works! Excited to shows/magazines about you. All the best to your work. Take care of yourself okays? i had add you in my msn, can you pls accept me …thank you . I also got add you in the facebook . pls reply me soon . You’re really pretty and great actress! I’m going to audition for media this year when there is a chance! i hope to see you if i get in! best if can work together! REMEMBER ME AND I WILL FIND YOU ONE DAY! Hello Joanne. I am a big fan of yours and also hope to become someone famous like you. My whole family supports you, and we have the same surnames. I’m proud to be a Peh, now knowing that someone of the same surname has great achievements. Hope to meet you in Mediacorp someday. Jiayou and good luck. why u nv reply me r u busy ? i wonder what your long series is about. i only have time to watch those during my non-school weeks. Ur smile so natural,can you sms me ur number by my email pls … i will give u mine if u want to ! im one of ur fans as i have the same sir name as u!!! haha , i came with my mom . remember ? Always supporting you yeah jie jie . gosh, i LOVED to see you on my tv screen! do you have email ? (: Can i have it , if you do have ? Hi Joanne… Just wanna ask you how to cure pimples at the back? Any Idea? Yours everthings I like, you are very hard working, well done and good luck !!! Thanks for visiting for site. Hope to hear more from the children! There seems to be lots of joanne’ accounts out there & finally i got to view the real one ! Haha, my brother & i are a big of yours & we so look forward to more of your shows that you’re starring at ! Last night I was arranging all you Jetstar advertisements….YOU did make a difference to those budget airlines advertisement…..
Hope that one day I can let you autograph them…. You’re such a wonderful actress ! You really rock . You’re really beautiful and charming . It’s really a pleasure for me to see you on TV ! All the best in everything you do . I was very impressed with your conversation in Class 5 yesterday (18 Oct 2010), it shows that you spreak very well in English and you are very smart. I am not sure whether you have prepared for your answer in advance. If not, you are even more intelligent ! I am sure you will do well in life if you do what you say. On you new project in writing, do consider do drama series story writing for Singapore TV. A lot of them have very bad content. Actors, actresses, and directors are good. But the content cannot make it. May be you can upgrade it. I happen to visit Hort Park with my son, and saw Zhu HouRen filming a children programme. My surprise is that we went round the Park in 1st hour and still see the crew discussing about the camera position. By the time we went home after 3 hours, they had yet to finish filming. Is filming so time consuming? I happen to know that scene takes 4 mins on the 1/2 hr children show. As avid photographer, it doesn’t take me long to find the perfect angle and position to shoot pictures. Filming like exggerated in a sense. Acting sounds hard work, but do keep it up. Your acting certainly improved and matured alot…..
hope you have a good holiday!and haha…. remember if there is one day take photos with me!can? remember if there is one day take photos with me! i like singapore and its drama.its great.i like the way u act in the show. hi joanne peh! i’m one of ya fan. I’m from cambodia. I love to watch every movie u act. Recently i’ve watched ya hand in mine which u act as an elegant lawyer. As i’m doing law degree, i love it so much……. hi^^ i just found this blog of yours. i read through your past posts and saw that u wrote u are a band member. i am a band member too! =D what instrument do u play? I like your show, happy valentine joanne jie jie….how is yr life???? you have the jetstar look! thank you jetstar! conditions apply..
May I know your height and weight if its not too personal to disclose? You look reallyyy slim! Hi Joanne!I was telling my mum that i like your chinese name so much! !haha 白薇秀~ sounds so special! I’m currently watching A Tale of Two Cities showing in Astro Shuang Xing !You acted so well in the series!So outstanding!! Gambateh o! What time is your new movie,乐在双城? I am a really big fan of yours.I especially love the last episode of C.L.I.F. So exciting. Do u mind if i ask u what did u feel when u cried? Because it doesn’t look as if u are acting.It looks so real. Iam inspired to be a police when i grow up, bcause of your acting. Great Fan Of Yours. Thank u for ur support, whatever emotions my character goes through, I feel it, and so tears come naturally. your acting with Qi yuwu is perfect ! i love your acting in c.l.i.f! The last three esipode were great!until now i am still watching it in youtube again and again.Hope to see you again in c.l.i.f 2! It is appropriate time to make a few plans for the longer term and it is time to be happy. I have learn this post and if I may I want to counsel you some interesting things or suggestions. Perhaps you can write subsequent articles regarding this article. I wish to learn even more issues about it! I am extremely impressed with your writing talents as smartly as with the layout in your weblog. Is that this a paid subject or did you modify it yourself? Either way keep up the nice quality writing, it is rare to peer a great blog like this one today..
beautiful,talented,intellegence,young and willing to go up as rich and famous.Pray for yor success,if you are in Malaysia let me know yaa. You are so sweet and cheerful in this movie! I am a Singaporean living in The Netherlands who misses home badly. When I watch the series, it makes me feel so at home and also makes me learn a lot about maintaining a happy marriage! 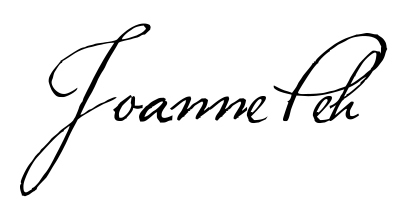 from your silent supporter and fan…..
Hello joanne! Im wenly from indonesia, my chinese name is 陈 文 丽！Huge fans of you ms peh. Love your style and oh yes your amazing model legs! Thank you for appearing/working as a celebrity. You are very special to me. Your smile turns my world upside down. Hope to meet and greet you sometime! Very happy you are cast in Code of Law 3. Love you, Keagan and Sunny Pang !